Most fishermen know that the slightest difference in what you’re fishing can make a HUGE difference in what you’re catching. 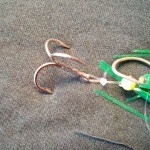 This is the case with the loop knot used aboard the Fish Doctor on all trolling flies and Jitterflies. The result is a free swinging treble hook. So, big deal, right? Actually, that IS right. Here’s what a loop knot does for you compared to say a standard knot like an improved clinch or a snell. - No matter what happens the treble is free swinging and trails straight back behind the fly, not off to the side as is often the case with other knots. - The free swinging treble gives extra action to the fly, and if you’re cagey enough to be using different colored treble hooks in different conditions, it works even better. 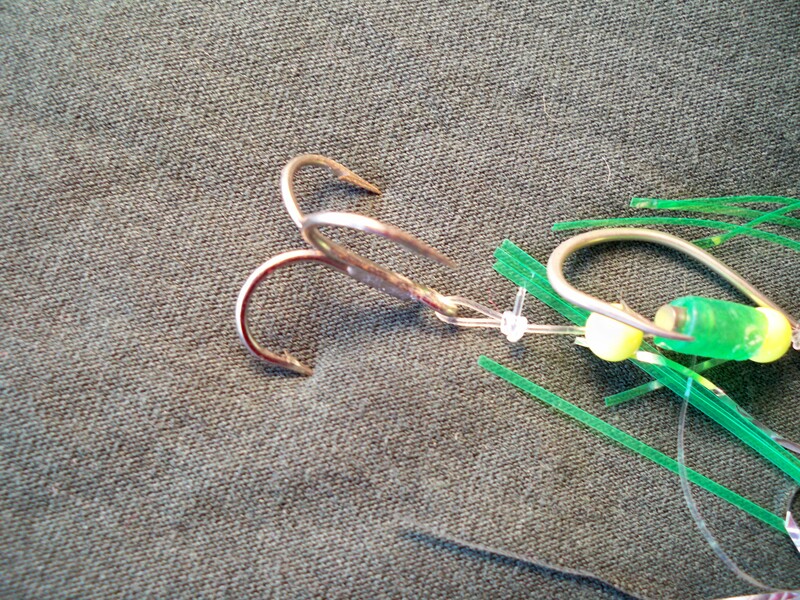 - Third, a loop knot almost completely eliminates so called “bite offs”, which aren’t really biteoffs, but just mono getting jammed in the treble. The end result is more bites and more fish in the boat. Simple but deadly. My favorite loop knot is a modified Perfection Loop Knot, and you can see how to tie it by checking aout the “Video Tips” page on my Fish Doctor web site.